Can I make a TGTAP Re-design? It will not be a whole website, but just a website's design in an image file. I thought I would do TGTAP just for the sake of making a design. Just for the sake of it? Sure, go ahead. Can't promise we'll use it though... so don't be offended if we don't! Nah...no need for using it, only if you want to. Thanks. Edited July 15, 2010 by Alvas. I think Chris means to say that TGTAP does need a new design, and it would be great if you could make one. However, obviously Chris couldn't guarantee that he would use your design, that would be entirely his decision. 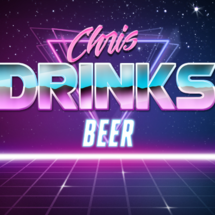 Since you're just making an image mockup, it would be Chris that has to implement it, so that will take quite some time. So even if he did pick yours, it's not as if it could appear overnight. Oh, Thanks. I will make one in some days, as soon as I have the time. Do you mean changing the skin or actually re-designing the interface of the site? A little bit of both maybe. I'm still not done with it anyway. Edited July 24, 2010 by Alvas.